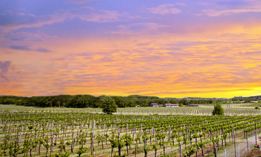 Rose Real Estate is a local, family owned business with over thirty five years of experience representing buyers and sellers in the Texas Hill Country. 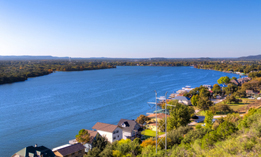 Located in Austin's nearby community of Dripping Springs, we are here to skillfully and ethically assist our clients with full-service real estate needs. 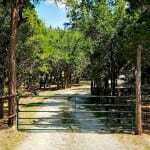 Our experience includes residential and commercial real estate, Texas Hill Country ranches, and land acreage for home sites, recreational or agricultural use. 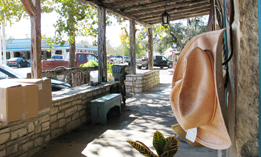 We aim to serve those interested in buying or selling real estate within the city of Dripping Springs, as well as the following communities: Austin, Bee Cave, Blanco, Buda, Driftwood, Dripping Springs, Johnson City, Lakeway, Marble Falls, Spicewood and Wimberley. 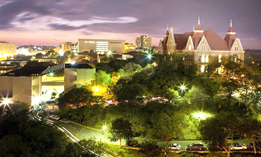 Rose Real Estate believes that Austin wouldn't be what it is today without the surrounding Hill Country, and these communities all greatly add to the region's beauty and growth. 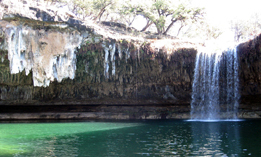 The mission of this website is to provide our customers with the resources and technology they require in order to successfully navigate the Hill Country real estate market. If you are starting to make plans to sell your home, there may be some things that need updating or remodeling. Naturally you want to attract more buyers, reduce the time on the market, and receive maximum return on dollars spent. As you get bids for the different projects, the question that you will probably have is “How much value will be added to my home for the cost of various projects?” The following link provides helpful information related to that question. 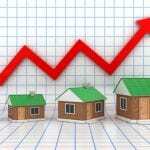 You will notice that the return on dollars spent will vary depending on the local real estate markets. Visit www.costvsvalue.com to see the Remodeling Cost vs. Value Report. 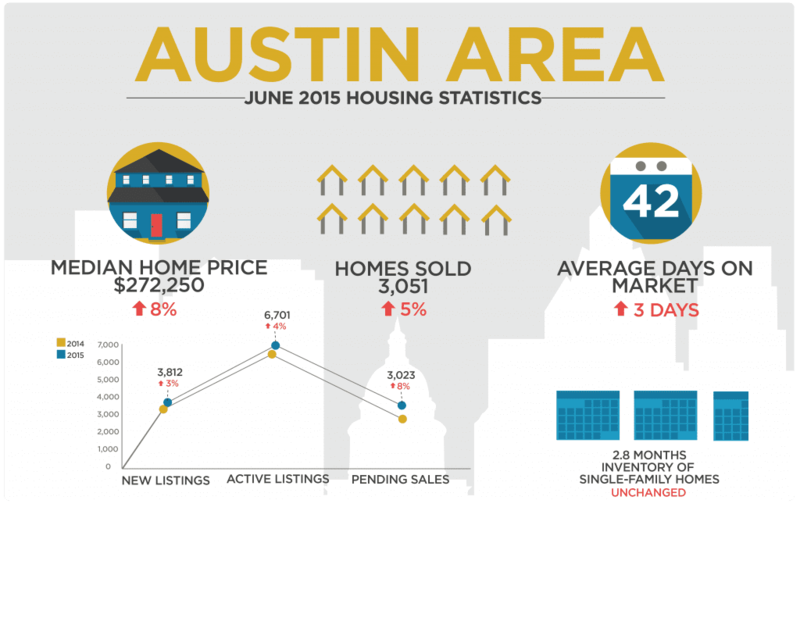 While the real estate market in Austin and the Central Hill Country continues to be an excellent investment for home owners, there remains a need for more available homes. An attractive alternative to buying a resale home is to find a special piece of land and build on it. 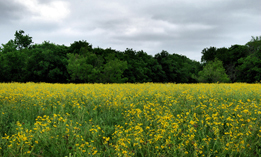 Local and out of state buyers are continuing to flood the market in search of available lots in locations like Dripping Springs, Wimberley, Driftwood, Johnson City and Blanco. 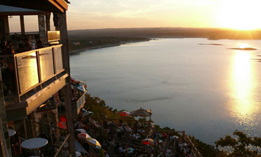 These smaller towns offer proximity to Austin, exceptional schools and the beauty of the Texas Hill Country. 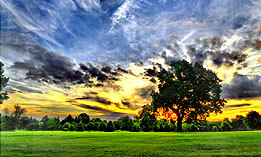 Acreage: Most commonly, home buyers are looking for a lot between 1 – 5 acres. This size provides them the freedom to roam that is not available in Austin city limits, yet isn’t so large that property taxes and maintenance expenses are prohibitive. Views, Trees & Water: What physical features in the land are most appealing to you and your family? While it might be possible to find a lot with a view, nice trees, access to surface water or other features that you desire, it can sometimes be difficult to find a tract that has everything you want. We often advise our clients to do their best to set at least these three items in order of priority. School District: Consider the school district in which the property is located. Hays and Blanco Counties boast some very good public schools, and we are seeing more and more families relocating to take advantage of them. School systems like Dripping Springs ISD and Wimberley ISD rate very high on the list of options in the entire Austin area. Restrictions and HOA Fees: Many properties have deed restrictions or are located in subdivisions that have HOAs and restrictive covenants that govern what homeowners can and can’t do on the property. These need to be seriously considered before a purchase, to make sure that, among other considerations, the desired use of the land and the type and size of home to be built are permissible. Additionally, HOAs that require membership many times come with additional expense. Home Site: No two pieces of land are exactly the same. Buyers need to understand how each tract is different, and understand how aspects like topography, trees and drainage can affect future development on the site. Additionally, future expenses like driveways and utilities should be considered in projecting where the home will be built. Utilities: Buyers should consider utility requirements in projecting the cost of building on a rural lot. Rural tracts typically have no city water or sewer system, and electricity might only be available at a boundary of the lot or might be a distance from the property. Land buyers will need to work with their real estate agent to understand their options and potential costs. It is always important for buyers to select a real estate agent with local knowledge. Rose Real Estate will guide you through these unique considerations and into the next phase – building your dream home! 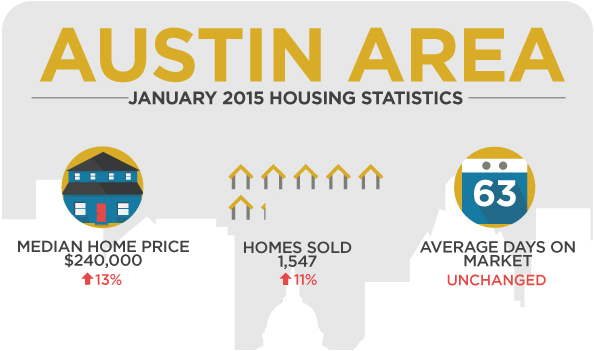 All information above is credit to Austin Board of Realtors. In July 2011, the Consumer Financial Protection Bureau (CFPB) was created to centralize federal consumer financial protection authority. While there have been many changes since July 2011, the largest and most significant changes recently took place on October 3. The historic change, known as TRID (TILA-RESPA Integrated Disclosure), implemented new forms (the new Loan Estimate replaces the old Good Faith Estimate and Initial Truth In Lending Statement…and the new Closing Disclosure replaces the old HUD 1 Settlement Statement and the final Truth In Lending Statement). Additionally, new laws require that the Closing Disclosure be provided to the borrower(s) at least three business days prior to closing. This is actually a GREAT change for you, the consumer, as it will allow for time to review cash required at closing and monthly payment. Historically, the normal time from contract to close has been 30 days. Many industry insiders believe this may be extended out to 45 or even 60 days. Our company goal is to maintain a 30-day contract to close. There will undoubtedly be delays while transitioning to TRID, but we are committed to maintaining 30-day closings in the long run. At Premier Residential Mortgage, we have been preparing for TRID since October 2014 when we migrated to a new software system, which we believe to be best equipped for TRID. Additionally, we created our team approach (Team Coble) with a few very basic principles: 1) Close on time, 2) Be under budget with respect to closing costs, cash at closing, and monthly payment, 3) Communicate status weekly, and at various milestones, and finally 4) Provide WOW service to you, our customer. We believe that if we do 1-4 above, we will have provided a memorable, stress free transaction in a lending environment where this is not the norm. Obtaining mortgage financing in 2015 looks very much like it did in 1988…the borrower(s) must demonstrate the ability to repay the debt by providing documents to prove income and assets. The traditional way of proving income is with pay check stubs, W2 forms, and Income Tax Returns (in the event one is self-employed or commissioned). Assets are documented with either bank statements or by directly verifying bank balances with the institution. Job stability, past credit history and financial responsibility are all important in overall risk evaluation. The days of stated income and stated asset mortgages, subprime mortgages (for the credit challenged) and No Doc Mortgages are mostly gone. There are numerous mortgage products available in the marketplace today that provide the dream of homeownership. USDA / Rural Housing provides 100% financing for qualified buyers, The Veterans Administration provides 100% financing for Veterans with VA Eligibility, FHA provides financing with as little as 3.5% down for those who qualify, and Conventional loans (Fannie Mae / Freddie Mac) are available with as little as 3% down to those who qualify. Additionally, the State of Texas offers numerous programs to help with down payments for those who qualify. In closing, don’t be discouraged by the lending process. Qualifying may be as easy as providing the most recent W2 form, paycheck stub, and bank statement. Article written by Mike Coble, Premier Residential Mortgage of Texas (PRMTX). Mike can be reached at mcoble@prmtx.com, or on his cell at (512) 657-6600. Disclaimer: Premier Residential Mortgage is sponsored by NTFN, Inc., NMLS #75333. NTFN, Inc. is an equal housing lender. When looking for land in the country, all buyers inevitably have the same question: how am I going to pay for this? For most buyers it is their first time to buy land, and they soon find that the process is much different than buying a house in a subdivision. It’s important for buyers to have a team of knowledgeable professionals to guide them through the process. A good lender is one of those professionals. Most acreage and Ag properties don’t qualify for conventional mortgage loans, so most mortgage originators can’t help with financing. This is where Capital Farm Credit comes in. Capital Farm Credit specializes in financing rural properties including: large acreage tracts, rural homesites, recreational properties, ranches, and farms. Financing these types of properties presents unique challenges that the typical lender doesn’t usually handle. The first thing buyers need to know is to forget everything they learned when buying their house. The loan terms and interest rates are going to be different on ag/acreage properties than what most buyers are used to seeing from conventional lenders. Typically, the interest rates will be higher than a comparable term mortgage, while the amortization terms (length of time to pay the loan back) are usually shorter. Another difference is that a full 20% (or more) down-payment is usually required, where conventional mortgages may be had with as little as 5% down. When shopping around for land financing, the terms offered by different lenders can vary widely and be difficult to compare. Many banks will use balloon notes, adjustable rates, and pre-payment penalties in land financing, so a buyer needs to pay close attention to the terms they are quoted. The closing process for land is going to be a little slower. We typically see 30-45 day closing times, but that can be stretched out by complicated surveys, title issues, and appraisal problems. With the upcoming changes in regulations and procedures stemming from the Dodd-Frank Act, known as TRID, we expect to see the closing times get even longer on properties like rural homesites that are classified as “Consumer Purpose” loans. We are currently expecting 60-90 day closing times until the industry gets comfortable with the new processes. Capital Farm Credit is here to be your expert lender in rural properties. As a Co-op, we are owned by our borrowers, so we take the customer experience very seriously since the customer will be our boss. An added benefit of the Co-op structure is that our profits are returned to you in cash to offset your interest costs. Call us anytime and we will show you just how powerful that can be. When you are gathering your team to go buy land, make sure Capital Farm Credit is in your corner. This is a guest post courtesy of Tim Traister and Mark Rutledge with Capital Farm Credit. 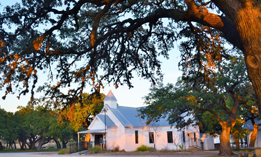 Capital Farm Credit is a premier rural real estate lender in Texas offering farm loans, ranch loans, country home loans and recreational property loans. Rose Real Estate is not affiliated with Capital Farm Credit in any way. You can connect with Tim at Tim.Traister@CapitalFarmCredit.com and Mark at Mark.Rutledge@CapitalFarmCredit.com. What Will It Cost To Bring Electricity To This Property? 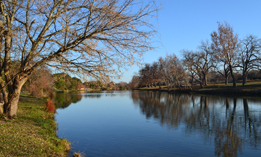 Central Texas offers many amenities to buyers looking to relocate to the area. One of those amenities is the availability of acreage tracts that would be perfect for a weekend getaway or a permanent home site. Motivations to purchase acreage tracts can vary. Perhaps you want to build a home and yet be close enough to commute to work or to have access to the many cultural, dining, medical and entertainment opportunities available throughout the Central Texas area. You may want the privacy and the peace to unwind after a hard day’s work or you may want the grandeur of a Hill Country view. You may want to provide your children or yourselves with the experience of raising livestock or growing some of your own food. You may desire a particular school district which offers the educational experience that you want for your children. Or you may want that special place to use as a weekend or vacation retreat. Regardless of your motivation for purchasing, a local Realtor familiar with the area and with the process of helping buyers purchase acreage tracts will be of great assistance to you. Perhaps you have started to view properties and have found a property that seems to meet your expectations and needs. One of the considerations in purchasing should be the availability and proximity of electricity to the property you hope to purchase. This may be overlooked by some buyers until they get ready to build. If electricity is not already on the tract or nearby, the cost can be substantial, especially on large acreage tracts. In many instances, once you locate the spot on the tract where you want to build, an appointment can be arranged for a representative of the local utility provider to meet you at the property to assess availability and cost. This information can be valuable in helping you make an informed purchase. The link below will provide you with information on some of the electric providers in the Central Texas area. publications@abor.com or 512-454-7636. 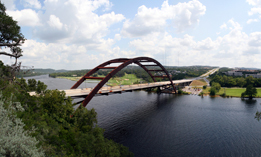 For the latest local housing market listings, visitAustinHomeSearch.com. Why Is The Address Not Complete For This Property? 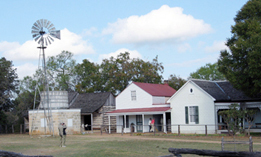 As the population of Central Texas increases, the demand for rural, unimproved land tracts increases also. You might be renting and want to locate the perfect site on which to build your dream home, or you want a tract for recreational purposes, or maybe you are planning ahead and want to buy land on which to build your retirement home in the future. Regardless of your motivation for wanting to buy, today’s fast-paced real estate market makes it imperative that you act quickly. You search the web and find what looks like the perfect property, but WOW, the street address is not complete and you need to know its exact location due to considerations such as distance from schools, shopping, work, and doctors. Finding such a property on a map can be confusing and frustrating if you work alone. Your real estate agent, however, has the resources to locate and get additional information on those hard-to-find rural tracts. If you think the location is a good one, you can move quickly in having your agent show the property to you and help you place an offer if you like the tract. Remember, great properties do not last long in today’s market. Search ‘Lots & Land’ or contact us today!